Welcome to the Heinrich Boell Foundation’s Office in Ukraine! In 2018, hbs celebrates the 10th anniversary of its cooperation with the Ukrainian civil society. We have gathered some of our most dynamic partners to tell about the foundation's priorities and green success stories in Ukraine. 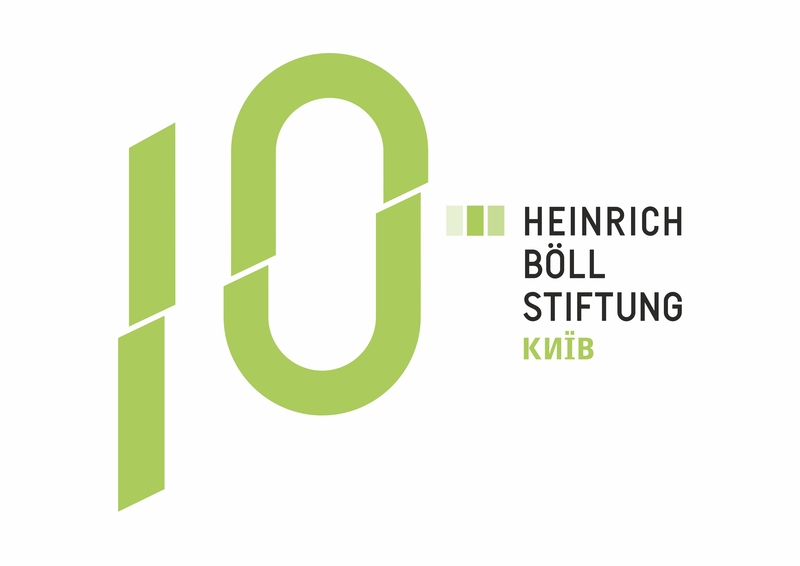 The office of the Heinrich Boell Foundation was established in April 2008 in Kyiv. Since then hbs has been supporting participative democracy and wide political education; developing regional projects for climate protection; ensuring gender democracy and protection of human rights. In its work in Ukraine, hbs prioritizes changes in discourse and supports openness of public discussion by organizing open lectures, conferences, seminars, debates etc. Stay connected with hbs Kyiv at our Facebook page. We are looking forward to cooperate with you for the Ukrainian society! Starting from January 2015, the Gender Educational Experiment has been taking place in 8 schools of Kharkiv region with the support of Heinrich Boell Foundaiton. Its aim is to create an educational space free from gender stereotypes and discrimination, where people are able and ready to identify, notice, analyze and react with their reflections and actions to everything that has to do with gender inequality, gender stereotypes and sexism. The transition of energy sector towards clean and safe renewable energy sources will allow Ukraine to build a new strong economy and break out of the continuous socio-economic decline, to help the international community in solving the problem of climate change, and to enhance security and welfare of its people. Eastern Europe, Caucasus and Central Asia: are you ready for energy transition? Global energy transition towards 100% renewables by 2050 is a necessity if we want to meet the goal of the Paris Climate Agreement to keep planet temperature rise well below 2oC. Heinrich Boell Foundation Regional Office in Ukraine together with the international technical assistance Project “Partnership for Local Economic Development and Democratic Governance”, implemented by the Federation of Canadian Municipalities, presented results of a Strategic Environmental Assessment (SEA) of the Horishni Plavni Development Strategy to 2028. Can future of the coal industry in Ukraine be similar to German one? Members of the Parliament from the Committee on Fuel and Energy sector, Nuclear Policy and Nuclear Safety of Verkhovna Rada of Ukraine, mayors of single-industry coal cities, jpurnalists, representatives of the Ministry of Energy and Coal Industry of Ukraine and civil society took part in the study visit to Germany on "Perspectives of development beyond coal."